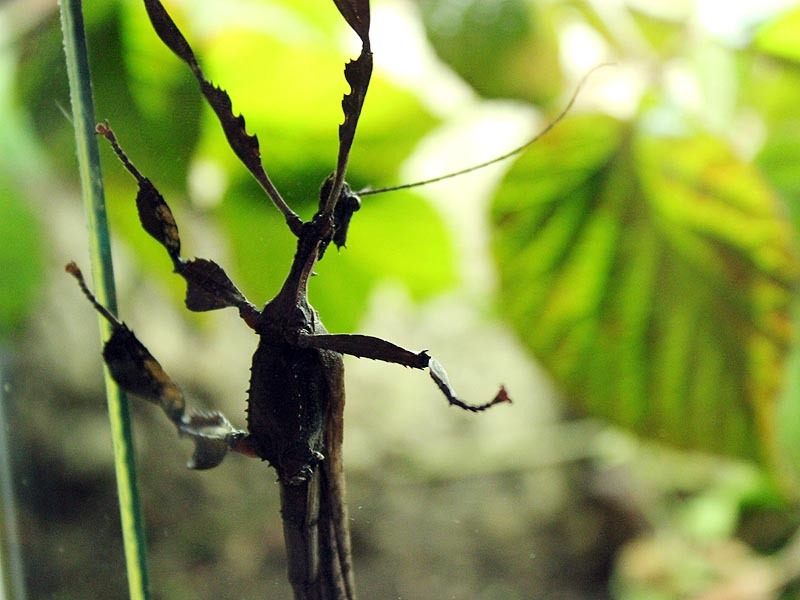 The european mantis is the only domestic mantis species but has become very rare in Germany. Originally it comes from Africa. In germany they are encountered only in warm areas such as South Baden and Saarland. In the Mediterranean on the other hand it is very present and dwells there in dry, sunny locations with medium high vegetation such as Dry meadows. However they occur in hot, dry areas between France and Japan. The females reach a size of about 8 cm, but the males are usually 2 cm smaller and slimmer. They move at straws but can also bounce and the males fly short distances. They are diurnal and rely almost solely on their sense of balance. The European mantis captures predatory insects, especially Diptera and Hymenoptera, the major Mediterranean species even prey on small vertebrates or young birds. They are carnivores and do not eat any plants. During mating, which lasts for several hours, the male jumps on the back of the female. After mating, the female becomes lethargic and the male flees. A few days later the females lay several yellow-brown egg sacs about 4 cm long each of which containing about 150 – 200 eggs. The eggs are flat and curved upwards, and are resistant to frost. For centuries the mantis played a religious role, for example in the Mediterranean peoples. Different subspecies of Locusts are widely spread in Africa, Europe, Asia and Australia. Animals of such a polymorphic type usually come in two forms: solitary and in swarms. If the population density rises, it comes to the infamous swarms of locusts, which are often very destructive for the agricultural land in Africa, but also for Australia. It comes from the Australian continent. There it lives in bushy vegetation of the tropical dry forest. In their home they feed from the leaves of the eucalyptus tree. In captivity, the evergreen leaves of bramble are their main food source. The males reach a size of about 9 cm and females 15 cm. The life expectancy of the male is only 3-5 months, whereas the females life up to one year. The males wings are very strong, whereas the female only have stubs. 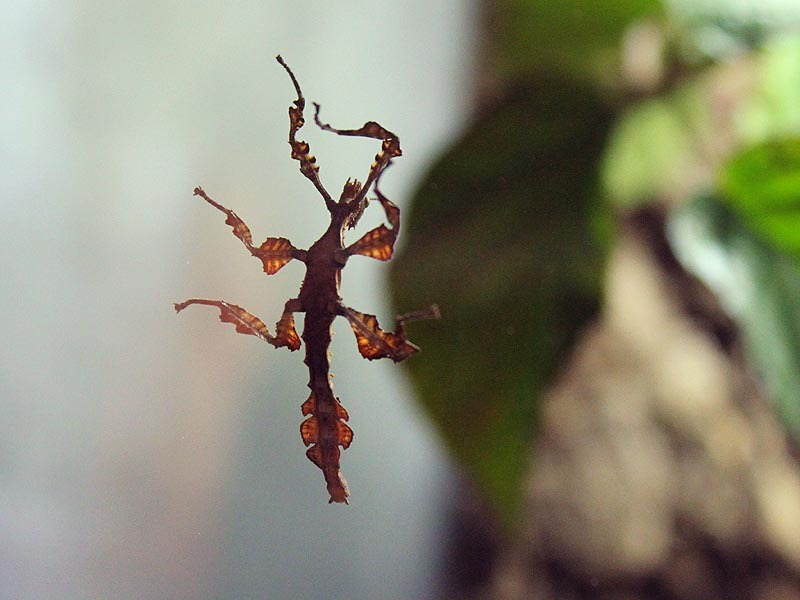 This species is native to New Guinea and feeds on leaves of brambles. The males are about 12 cm big, and have thick spines on the hind legs which serve as defense. 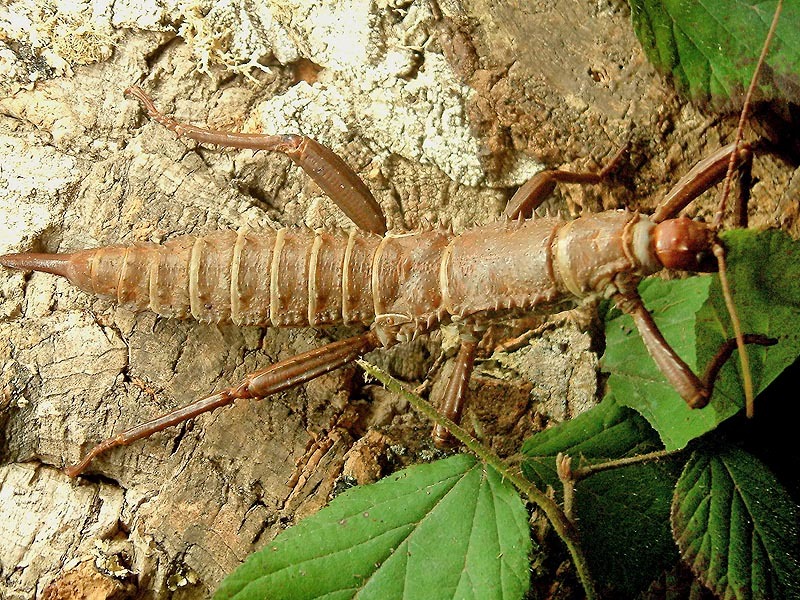 The females are larger and thicker (about 14.5 cm) and have a clearly recognizable ovipositor. These animals are very sociable with each other, but when threatened they raise their abdomen and bend its last segments to hurt its enemy with its thorns. The Peruvian fire sticks occur in the undergrowth of mountain forests. They feed of fern. The larvae of this species need about 6 months until the last sloughing then hatch after about 3 months young. The special thing about these animals is the warning color which indicates that they are inedible. Because they contain a foul-smelling secretion that comes out of the sides of the forechest in times of danger. 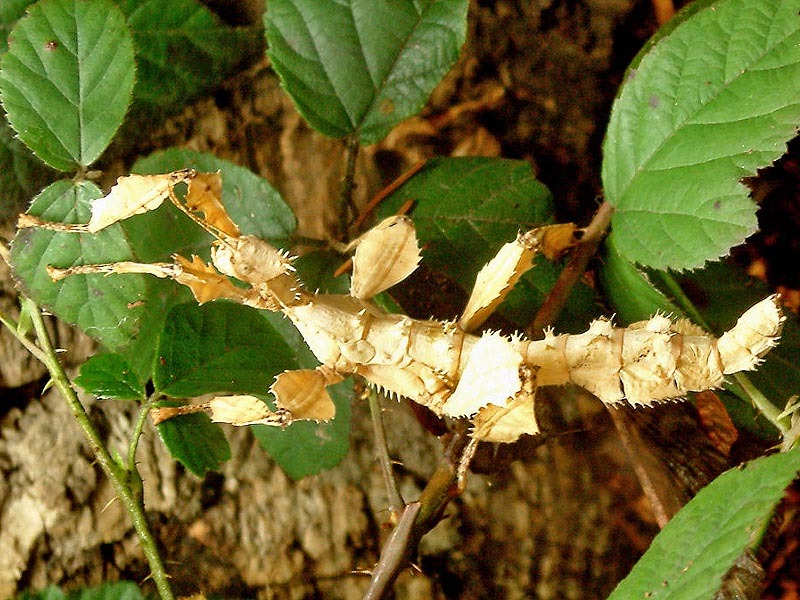 Stick insects are prevalent in the tropical zones. 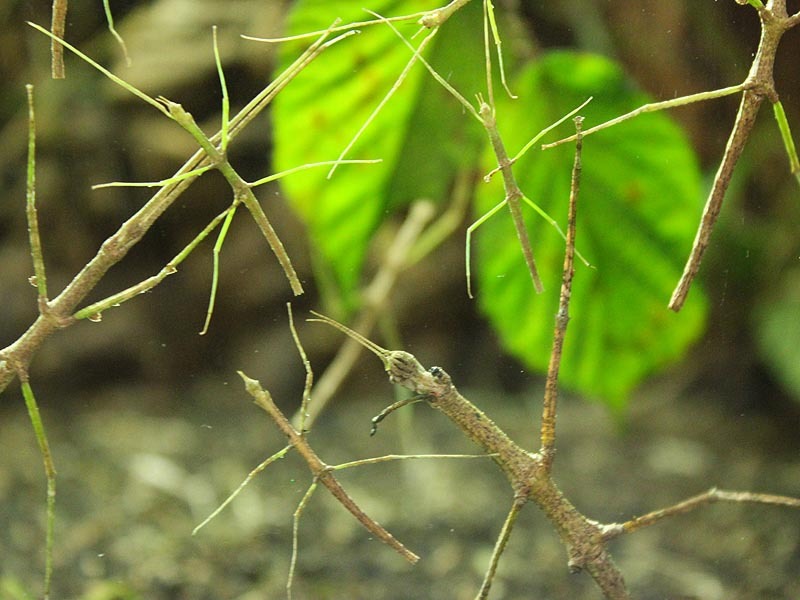 They are very well camouflaged from predators due to their twig-like look. 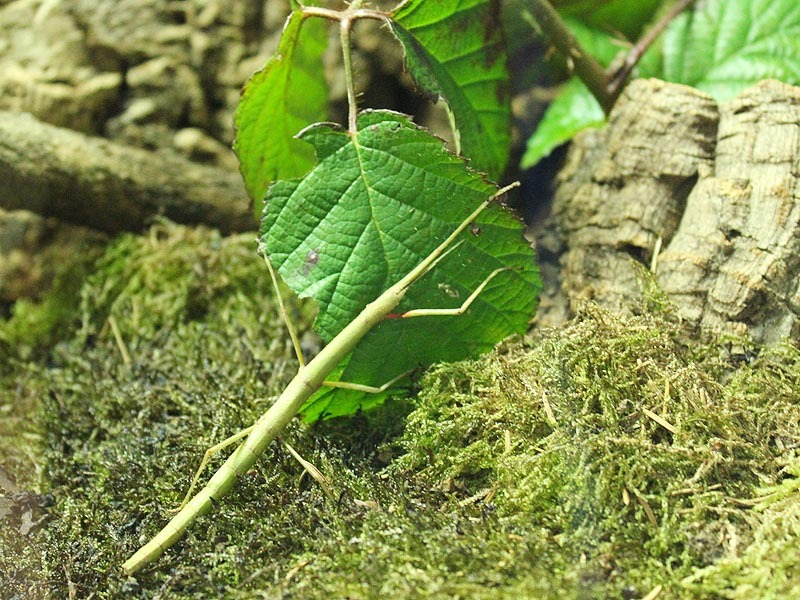 The animals can reach a size of up to 28 cm, but the smallest are only 2 cm long. They are nocturnal and during the day they only move slowly. At night, they search for food. They are herbivorous animals. They are usually hermaphroditic, but a parthenogenetic reproduction of females is possible. However, they reproduce exclusively by parthenogenesis. 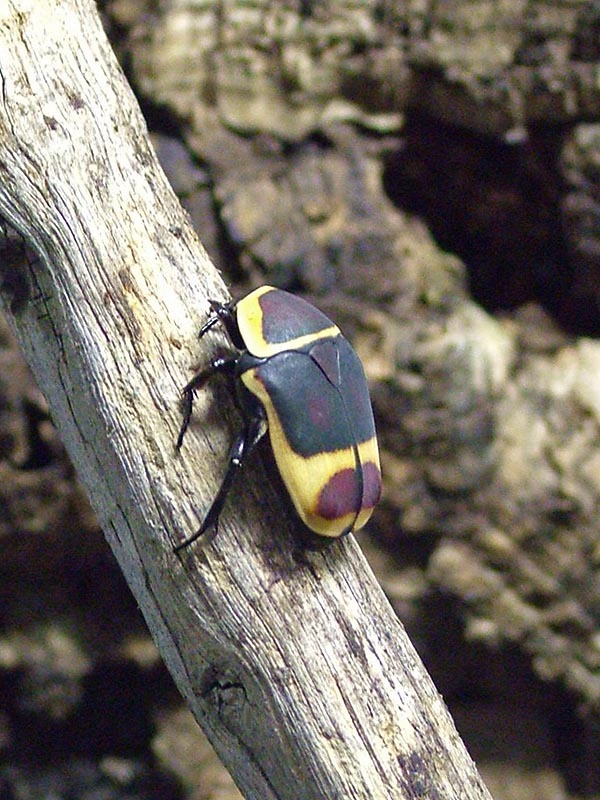 This Sun beetle comes from tropical Africa, where it can be found sitting on flowers and shrubs. It feeds on overripe fruit, grubs, leafes, and beetles. The females lay their eggs in the soil and the larvae develop there also. After 2 weeks, the beetles emerge. The animals are about 2 to 2.5 cm long. The main distribution area of the centipede are the tropical zones and thus the Philippines. They feed on decaying plant material or organic waste. 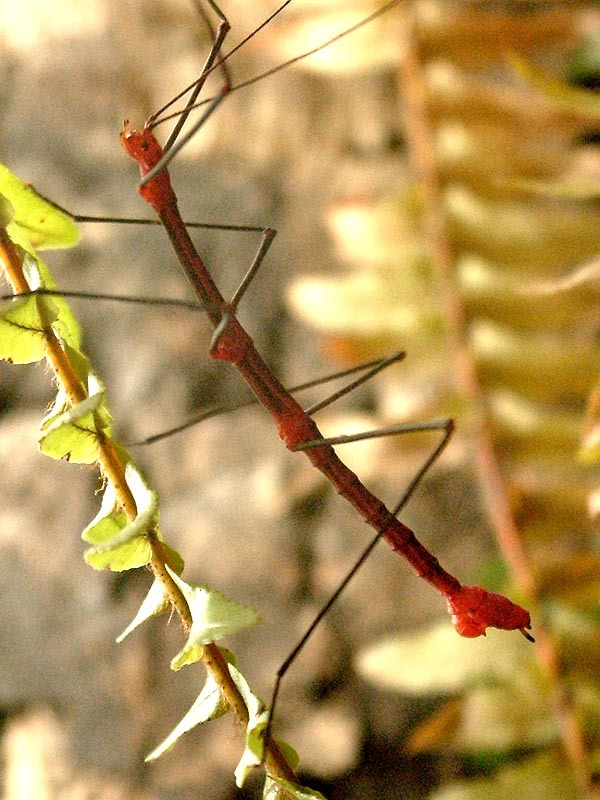 The number of pairs of legs varies from type to type between 9 and 340. 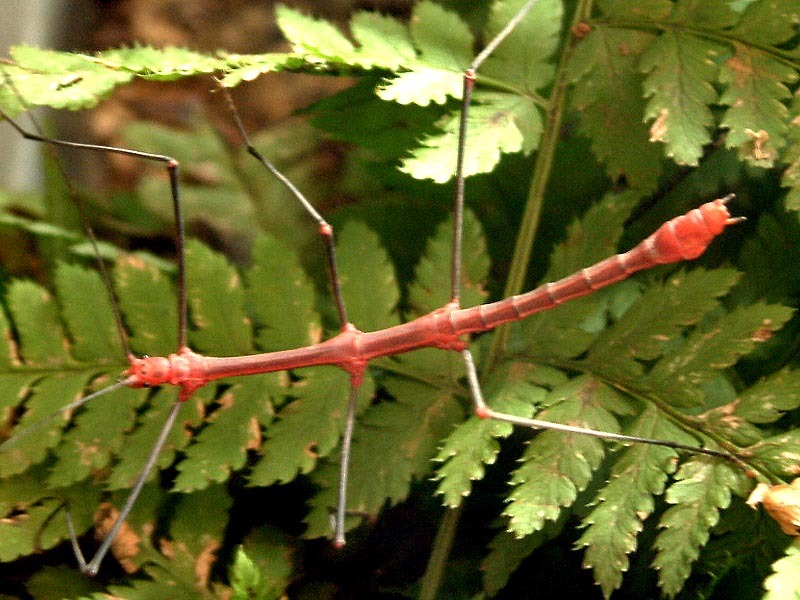 There are usually fewer than 50 pairs of legs. Each body segment has a pair. The body size is 0.2 to 37 cm. They have a protective jacket made of chitin with calcium deposits. Between the body segments are glands that emit a unpleasant smelling secretion in cases of danger. They move in waves. When in danger, millipedes curl up into a spiral to protect mainly the head part. The main distribution area of the centipede are the tropical zones and thus the Philippines. 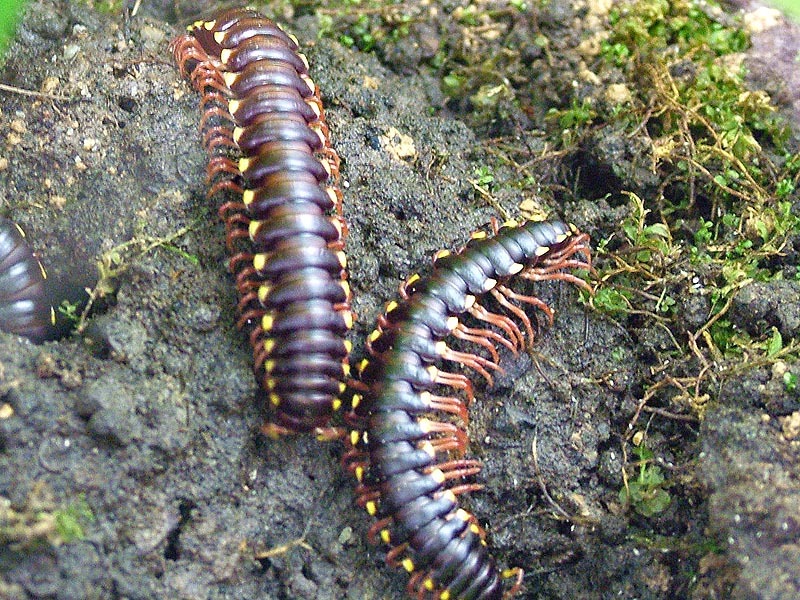 There are about 44 known species of centipede. The number of pairs of legs is, depending on the type, between 14 and 191. However, only one pair per segment is found in centipedes. The body size is 2.5-30 cm. The head has a pair of long antennae. The very nimble legs behind the head are a pair of poison pincers, which give off a paralysing venom in defense and attack. They eat mainly insects and worms. They also tend to cannibalism. Fertilization takes place without copulation. The female takes up a seed packet, which the male has previously laid. Some species give birth to live larvae, others lay eggs. The life expectancy can be up to 6 years. It lives in the subtropical rain forest of Madagascar. It feeds on lettuce, overripe fruit and rotting leaves. This tarantula lives in the tropical rain forests of South America. The young animals eat small crickets. 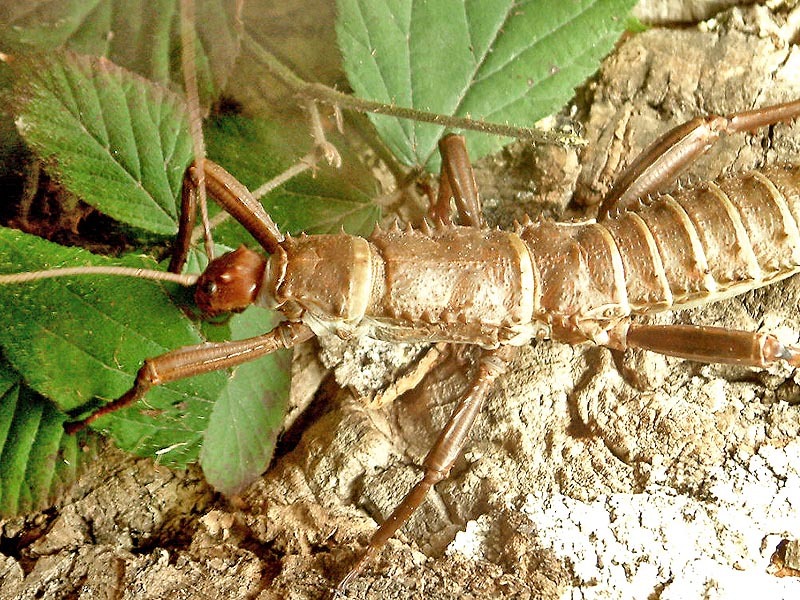 Adult spiders prey on very large insects, such as Locusts. The bite of this spider is very painful and you should immediately see a doctor to prevent blood poisoning. This tarantula is native to Brazil. 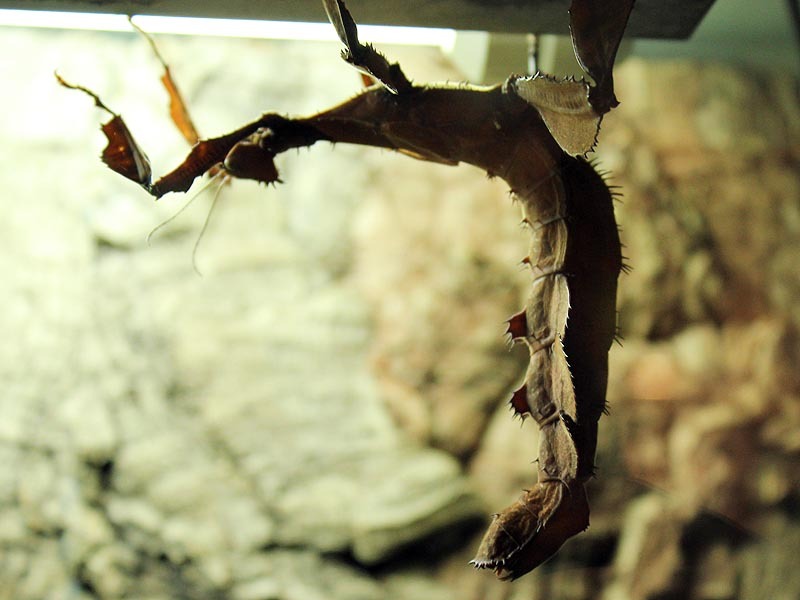 It feeds on crickets and mealworms. They can grow up to 8-9 cm. When threatened it defends itself with its bite or its urticating bristles which cause severe itching. Their venom is only sufficient to kill, for example, small mice. For men the effect of the poison is similar to bee venom. There is rather a danger of blood poisoning caused by bacteria in such a spider bite.